Wits tennis NPO plans to sponsor three female players from Yeoville. A TENNIS programme aimed at assisting young players from underprivileged communities is set to launch at Wits University this weekend. The CCTA Future Stars non-profit organisation, which was established through Centre Court Tennis Academy (CCTA), is a programme that has been developed by Wits tennis coach Byron Werbeloff, together with tennis coaching staff, Bevan Fenner and Thato Lebelo. The programme offers coaching to young and underprivileged players in Yeoville, Johannesburg. 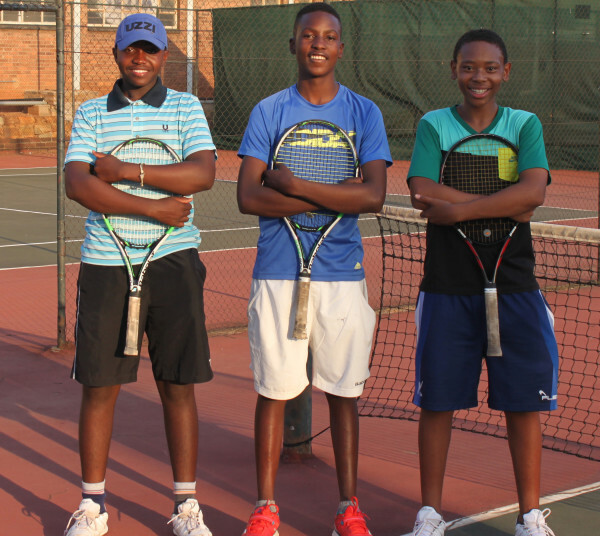 CCTA Future Stars has already enabled three male players to secure tennis scholarships from Edenvale High School. Lesley Chokgolo, Shaun Msipha and Tyron Mnguni, all 16-years-old, say the scholarships have helped them academically and in their sporting aspirations. The three sponsored male players. “The coaching there has really changed our game,” said Chokgolo. Both Msipha and Chokgolo believe the programme is making a difference in the Yeoville community by helping children turn to tennis instead of drugs and alcohol. “We keep on getting more and more kids coming to play tennis,” said Chokgolo. Werbeloff said the goal is “to use tennis as an aid to help these kids make something of their lives”. The organisation, according to Werbeloff, provides youth with access to equipment and training in order to better their chances of becoming professional tennis players and gaining access to scholarships to assist in their education. The recipients are to be determined by a panel of judges based on criteria such as, “their willingness to improve and reach a high, if not professional level of tennis … and most importantly their attendance of training at the Yeoville programme,” says Werbeloff. The launch on April 8, which marks the first of its kind, will be hosted at the Wits tennis courts. Additional scholarships will be handed out to three deserving female players.